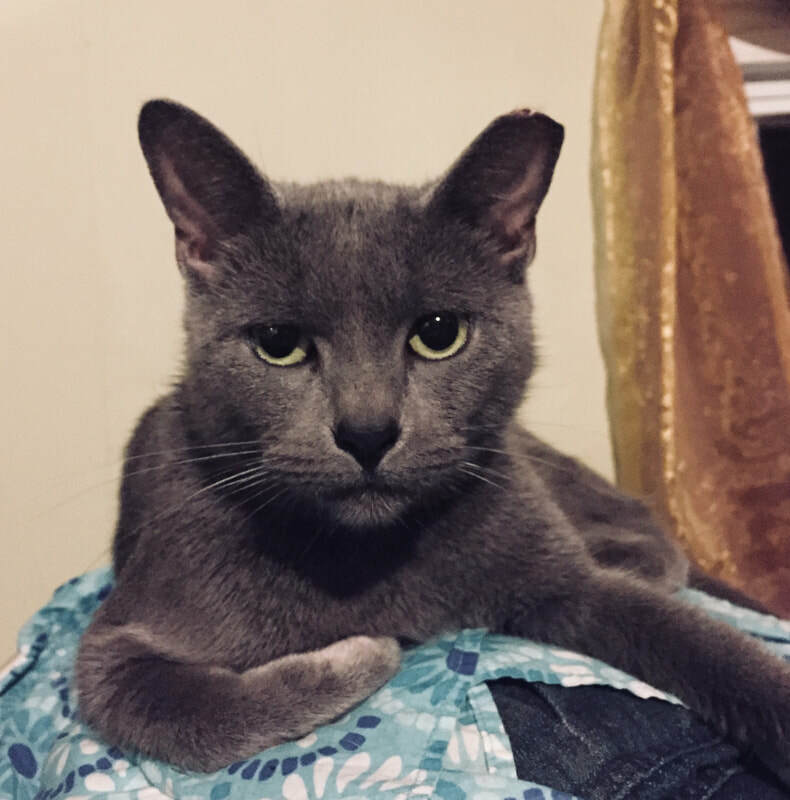 Lady Grey is a sweet and gentle young lady who is looking for the purrfect forever home. She likes other cats who are respectful of her space, and gets along just swimmingly with dogs and people. She can cuddle, and be demure...and also hunt like a fierce queen! (She took out a squirrel that was half her size.) She loves to be close to her people, and will sit above, behind and beside them rather than directly on their laps. She's affectionate without being cloying or excessive. She's a true jewel of a cat. If you're looking for a lovely lady add some class to your life, you should arrange introductions to the Lady Grey. Estimated Birthday: August 14th 2017.